With just a few weeks to go until NIS America releases The Caligula Effect: Overdose, which is an enhanced High Definition port of sorts of the Japanese only PlayStation Vita game, for the PlayStation 4 and Nintendo Switch, a brand new trailer has been released which highlights the Ostinato Musicians. 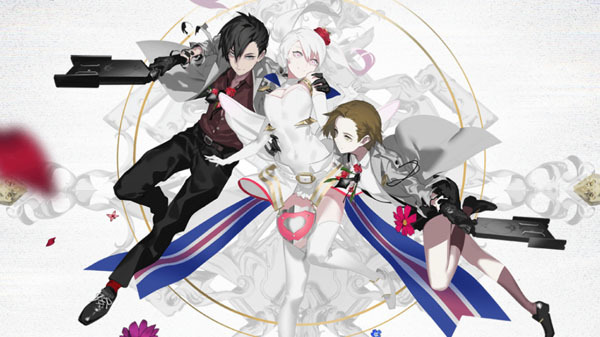 As explained by NIS America a ‘new feature’ within The Caligula Effect: Overdose will allow players to betray the objectives of the Go-Home Club, which in this case is to escape from this bizarre digital styled world, and side with the Ostinato Musicians whoose job it is to preserve the false utopia of Mobius and terminate anyone who tries to escape. Determine where the protagonist’s loyalty and true motives lie in this new “villain’s” route! The line between reality and fantasy isn’t always black and white. Traverse the gray under a new identity and uncover the traumas that the Musicians harbor. Will their ambitions be enough for the protagonist to stand by their side? The Caligula Effect: Overdose is scheduled for a 15th March 2019 release within Europe for the PlayStation 4 and Nintendo Switch. A Windows PC release will be available on the 12th March 2019 alongide it’s North American PlayStation 4 and Nintendo Switch release.